Maintain NEUTRAL with unchanged Target Price of SGD1.60, 0% upside plus 2% FY19F dividend yield, derived from 2019F P/E of 11x, which is in line with its regional peers. 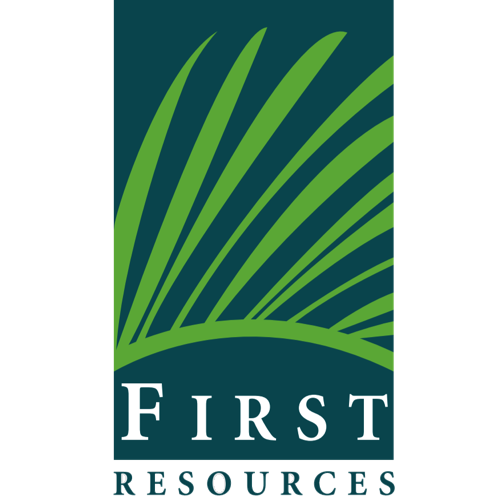 First Resources continues to expect FFB growth moderation in 4Q18, while projecting an improvement in CPO prices to come through by 1Q19. The B30 PSO and B20 non-PSO biodiesel mandate is picking up speed in Indonesia, and management expects this, together with improved demand from China and India to help provide support for CPO prices in the medium term. Our preferred pick for a Singapore plantation stock is Wilmar International (SGX:F34). First Resources’ 9M18 core net profit appeared to be below expectations, comprising 65- 70% of our and consensus FY18 earnings. The main difference was a build-up of 38,000 tonnes of CPO inventory in 9M18 (vs a drawdown of 14,000 tonnes in 9M17). If we assume these 38,000 tonnes of CPO were sold in 3Q18 at the same achieved selling price of USD525/tonne, 9M18 earnings would have made up 73% of consensus and 78% of our FY18 earnings forecasts – which we consider to be largely in line. FFB output grew 20% y-o-y in 9M18, higher than our forecasted 13.4% and management’s guidance of 15% for FY18. We believe FFB growth will moderate in 4Q18 and are maintaining our forecasts for now. CPO price declined by 8.7% y-o-y in 9M18 to an average of USD556/tonne, which is slightly below our USD566/tonne projection for FY18. For every MYR100/tonne change in CPO price, we estimate its earnings would be affected by 4-5% pa.
Downstream margins remained in the black in 3Q18 at 2.7% (down from the 3.8% recorded in 2Q18, but better than the 2.4% recorded in 3Q17). Sales volumes rose 18.6% y-o-y in 9M18, although selling prices fell 8.8% y-o-y. This is in line with our downstream forecasts, which assume positive margins of 2-4% going forward. FFB growth to moderate in 4Q18 after growing 20% y-o-y in 9M18. As weather is relatively normal at most of First Resources’ estates, it is continuing to guide for FFB output growth of 15% for FY18. We leave our FFB growth forecast intact, at a more conservative 13.4%, for FY18. First Resources does not face any major issues with the barge shortage in Kalimantan, as only about 27% of its output comes from there, with the majority coming from Riau. We estimate unit costs dropped 2% y-o-y in 9M18. Fertiliser application has normalised in 9M18, with about 80-90% being applied. Management expects CPO unit costs to be relatively stable, at USD200-220/tonne in FY18. For FY19, no guidance has been given yet, but it has locked in its 1H19 fertiliser requirements at prices that are higher by an estimated 2-5% y-o-y. Downstream division margins should remain in the black. In 3Q18, First Resources recorded a margin of 2.7% at its downstream division (down from 3.8% in 2Q18). Both its refinery and biodiesel plants operated at close to 100% utilisation rate in 3Q18. We expect margins to improve in 4Q18 on the back of a wider spread between CPO and refined product selling prices, as well as higher biodiesel demand from the domestic market. For 4Q18, FR should benefit from the higher original allocation from Pertamina for public service obligation (PSO) and non-PSO demand. For October-December, First Resources received an additional allocation of 49,000 kilolitres (kL) from the PSO allocation (of 0.45m kL for the whole country), as well as an additional 23,000 kL from the non-PSO allocation of 0.94m kL. Besides this, the Government is working on resolving the logistic issues previously faced by the biodiesel industry, by getting biodiesel players to deliver to purpose-built centralised blending stations instead of depots in remote places. This would mean the logistic and freight issues previously faced by players should be resolved by 4Q18. For 2019, there will likely be a new contract, based on the B30 mandate, which management expects to come out in December. Given these expectations, First Resources estimates CPO prices to trend higher in 1Q19. We stay NEUTRAL and make no change to our Target Price of SGD1.60, based on an unchanged 11x 2019F P/E. This implies an EV/ha of USD13,000, in line with its peers’ range of USD10,000-15,000. Our Top Pick for a Singapore plantation stock is is Wilmar International (SGX:F34).